Lagos, Nigeria’s bus rapid transit (BRT) system, established in 2008, will expand its services more than 13 miles from Oshodi to Ikorodu, announced Dr. Dayo Mobereola, the managing director of Lagos Metropolitan Area Transport Authority (LAMATA). Since its inception three years ago, the BRT between Mile 12 and CMS stations has transported 170 million passengers and reduced travel times by 30 minutes, The Daily Independent reports. Furthermore, the BRT decreased fares by 40 percent and reduced carbon dioxide emissions by 13 percent. The system also resulted in 2,000 direct and 3,000 indirect employment, contributing to economic growth and poverty reduction, according to LAMATA’s External Relations Specialist Kola Ojelabi. As we discussed in some of our previous posts, African cities have seen a surge in population growth in recent years. The unplanned growth of cities to accommodate the sudden rise in population can drain resources and negatively affect the lowest-income communities. Lagos, estimated to have a population of 14.2 million by 2050, is one of those African cities seeing a rise in population. 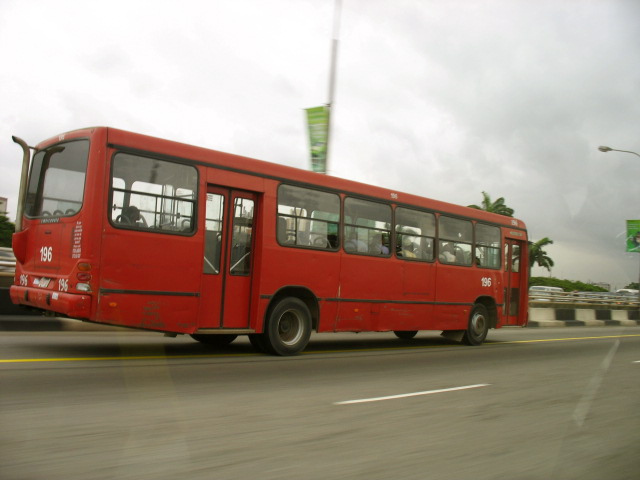 Along with reducing traffic congestion and improving air quality by taking individual automobiles off the road with an efficient and affordable public transit system, the BRT is meant to provide mobility and serve the less privileged and poor masses of a densely populated Lagos, according to LAMATA.